You are here: Home / Music Marketing / 10 Top Ways To Promote Your Music That Actually Work in 2019! 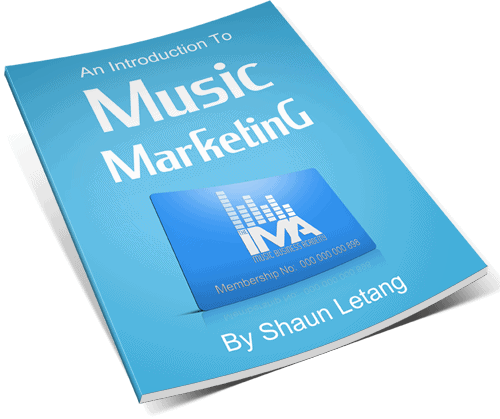 So I’ve already written a free complete ebook introducing people to music marketing, and even created one of the (if not THE) best courses around on promoting your music. That said, today I wanted to go a step further and bring you in on some hard hitting strategies that will gain you more fans, and that actually work in this day and age. There are too many dated articles out there which talk about promoting your music. Many of them simply share old information which didn’t work that well at it’s peak. Many of them give smaller results than they’re worth. Today though, I’m going to cover 6 things you can do to better promote your music. Marketing your music is essential if you want to get your name out there and actually start making money from your talent, so if these are some of your aims, be sure to read and implement as much of this guide as humanly possible. And if you find it useful, please share it with friends or talk about it on your website. 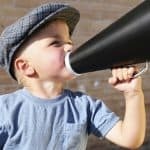 So, let’s get into the promotion tips. So I know some of you will be wondering what I mean by this. What I mean is that you should spend a good portion of your time contacting event organizers, radio stations, websites that cover your genre of music in some way, TV channels, DJs, musicians who are more established than you, and the like. While a lot of musicians spend lots of time grinding it out trying to make new fans one by one, more successful and full time musicians often spend more time building up relationships with people who can get their music out there better than they can. The thing is, if you get in good with bigger companies and they recommend you to their audience, you’ll get a lot more exposure from that one article / event / show / interview than you would from spending a month on Facebook and Twitter trying to get new fans from scratch. That’s why it’s worth investing time and effort into forming these kinds of relationships. Now I’m not saying don’t market to fans individually. You should, but usually only once they’re already on your social sites and mailing list. In terms of actually getting people to hear you the first time around, getting other established businesses to promote you is one of the best ways to go about doing this. 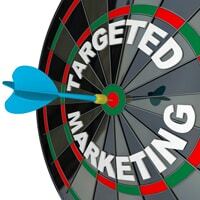 So switch your target audience and start focusing more of your efforts on other businesses. And remember, as a musician, you are a business! Gigging is one of those golden activities every musician should be doing! Not only can it be great for raising awareness of your brand, but it can also be monetized in multiple ways, and help you build a strong relationship with your core audience. Fans of your genre in general. For gaining NEW fans, this is the kind of audience you want! While for increased revenue you’d want to put on your own gigs and make it all about you, you won’t get very many people first discovering your music at these kind of gigs. Because of this, they won’t do much in terms of increasing your fanbase. When playing at shows with multiple artists however, you have a good chance to get your music in front of new targeted music fans. With so many new acts coming out every day, it can be hard to stay top-of-mind. Yes, someone might hear one of your songs and like what you’re doing, but if you don’t keep giving them more content and keep them entertained in some form of another, there’s a good chance that they may forget you. Songs. This is the obvious one. Blog posts to do with your music career. So what you’re working on, where you’ll be performing, asking fans for their opinions on things, etc. Blog posts related to your genre of music. You can get a lot of people finding out about you by publishing content related to your genre as a whole rather than just you as a musician. More on this later. As I mentioned, the majority of content should initially be going on your own website. This will help build your website up into a valuable asset, and one that will go a long way to getting new fans as well as keeping existing ones happy. If you haven’t yet made a site, you can see how to make one here. This is a big one, so listen up. If you want to get as much exposure for your music as possible, you’ll really want to make yourself more than just a musician! What do I mean by this? Well, you want to do everything you can to get yourself out there and in front of a targeted audience. And by everything, I mean things that aren’t directly related to promoting yourself as a musician (but that will still get new targeted eyes to you and your music). Remember the above point about posting more content on your site? Well who’s to say that you have to talk about you all the time? By talking about other acts and your genre of music in general, not only do you have more content to share with your audience, but you’ll have more things which you can rank for in search engines. This will mean more traffic to your site in the long-run, as you’ll be using relevant terms which people will be searching for to find your kind of music. This strategy is definitely worth using, so get started with it asap! This is something I’ve talked about and helped people do in the Full Time Musician course. So taking the above theory even further, why not create a website or podcast which you target at people who like your kind of music? This can be a music review podcast, a radio show which showcases your genre, or even a website which generally covers everything in your music scene. Furthermore, it could even be something not 100% related to your genre that a lot of people in your genre also like. So if you make music skateboarders often listen to, you may want to make a skateboarding site and play your music on the site and in the videos. You’ll also want to include a shop page where people can buy your music, and possibly even start selling skateboarder related merchandise with your logo on it. As my regular readers will know, I’ve been banging on about this for as long as this site has been around. If you can get people to sign up to your list before they leave, you’ll have their email address. From here you can communicate with them on a weekly basis, and remind them about you and your music. The following strategy on swapping their email address for a freebie works very well. If you haven’t set your own newsletter up yet, you can see how to do so here. Ok, so this one is more of a tip of how not to promote your music. That said, focusing on not losing fans is just as important as gaining new fans (I should have made that point 7 ;)). If you can make good songs but also make the occasional dud, it’s important to know what to do with that dud song. Even if you’re spent money to record it, don’t use it. Don’t give it out to fans. Instead, put it in a deep folder in your computer that will never be found by anyone! This song will do you more harm than good, and work at chipping away at your reputation. In general, you want to avoid doing anything that will have a negative impact on your reputation. You want people to think of you as one of the best musicians in your genre, and you want to give people who haven’t heard you before the best first impression. If you’re putting out weak songs though or weak artwork, a percentage of people will first hear you through that weak song, and possibly never give you another chance. If you don’t make great music, nothing will ever change in your music career. As an independent musician, you’re fighting an uphill battle by default. You’re competing for the attention of people who are constantly being bombarded with top 40 chart-topping hits. The bottom line is this – if you don’t go above and beyond the call of duty to write incredible music, your chances of being noticed are slim. 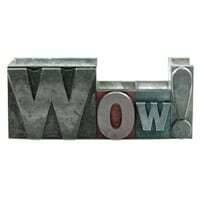 You need to “wow” people with your music to draw them in! If you’ve been in the music industry for any length of time, you’ve heard that before. To make it big, you just need one song that captures people. As it turns out, this is still relevant advice today. 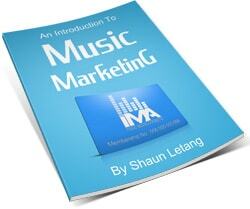 Additionally, without great music, a lot of the strategies mentioned in this guide won’t work for you. Gigging is great, and it will help you make money and improve as a performer, but if you don’t make music people care about, it doesn’t matter how often you play. You can make as many industry connections as you want, but if they don’t feel like your music is up to their standards, there’s no incentive for them to help you promote it. There is a fanbase for every type of music, but finding your audience is a lot of work. So it makes good sense that you’ll more readily stand behind a quality product than a product that’s subpar. And the same goes for your fans and the connections you make too. They’ll support something that’s great, but not something that’s just okay. If you’re in a band, then you need to figure out who can do what in terms of creating content, managing your social media sites, marketing, updating your website, and so on. If you’re a solo artist, you need to build a team. And building a team is ultimately something you’ll want to do regardless of the size of your act. 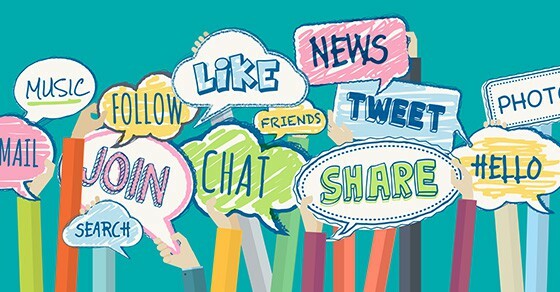 Is there someone in your band that’s great with social media? 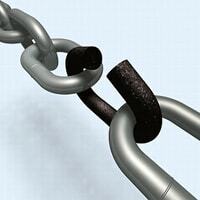 Fantastic – have them manage your online presence. Is there someone else that’s technically proficient, and has all the gear necessary to record videos? Great, get them to start making engaging content for YouTube. There’s always the chance that no one in your band knows the first thing about marketing or building a website. 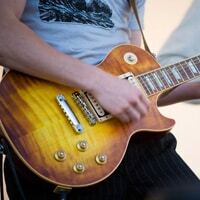 First and foremost, you are a musician, so you may not have many strengths outside of playing an instrument or singing. The key, then, is to figure out what everyone’s good at, and what they’re interested in learning. It doesn’t make sense to force a band member into doing something they don’t even want to do, so determining everyone’s strengths upfront is an important step. This is something the band The Middle Coast does very well, and if you go to the contact page on their website, you can even see that each member has a clearly defined role – Dylan and Roman handle booking, and Liam does everything else. Then, as you become more successful, and you build a bit of a budget, you’re going to want to start growing your team. As a starting point, you can outsource tasks you don’t like doing or ones you’re not good at. This gives you more time to focus on creating. Working with freelancers and contractors is a good way to get started, and you can find plenty of them on Upwork. Then, when you’re ready, you can start working with publicists, booking agents, managers, and so on. The reason this works is because it gives you a foundation from which to execute your marketing strategy in a coordinated, organized, consistent way. And consistency is key when it comes to spreading the word about your music. If you’ve ever listened to Music Business Radio, you’ll notice that there is a common theme among some of the most successful artists – most if not all of them work with a publicist! Things have changed a lot with public relations (PR) in recent years. Online press releases used to help you get the attention of the media, for potential interviews and news coverage. Today, press releases actually do more to boost your SEO – they help you rank for particular keywords, and when they’re published and distributed to a large network of sites, you also get links pointing back to your site! To overcome obscurity as an artist, it takes more than just luck and being at the right place at the right time. Gigging might lead to some great exposure opportunities, but chances are they won’t, unless you’re playing well-known venues, or venues where industry people are known to gather. You need to create newsworthy stories on a regular basis, engage the media, and develop awareness for your music, tours, special events, releases, awards, and so on. A lot of artists wonder about the effectiveness of getting coverage on music blogs, podcast and radio interviews, or entertainment magazines. To be fair, you won’t have access to the best publications when you’re just getting started. Content that goes up online often stays up for a long time. This gives people an opportunity to discover you over and over and over again, long after the publish date. You’re building connections with industry influencers. Once in their good graces, you would have to screw it up pretty bad to fall out of their graces. If they like you, they’ll keep covering you, and they may even be able to connect you with other industry people, or provide you with resources that can help you. Video is a powerful promotional tool. But the right kind of video? That makes all the difference. One thing that’s fascinating to fans – and will always be fascinating to fans – is the recording process. There’s a lot of mystery and intrigue about the gear being used, mic techniques, how certain sounds were achieved, and so on. And even if not for that, people love to see how their favorite songs came together in the first place. These types of videos are great for your fans, because they offer insights into who you are as well as their favorite music, but can also convert new fans, because they see you putting in the hard work to create a great product. Music is a strange thing, and first impressions may stay with you, but they aren’t always right. I remember not liking Rush when I first heard them, mostly because of Geddy Lee’s voice. But watching Rush in Rio convinced me that they were an amazing band, and I’ve been a fan of theirs ever since. Plus, you can turn your video into a DVD using a service like CreateSpace, and give it away as a bonus, or even monetize it by selling it to your fans. The cost of putting together great video could be significant, so if you don’t have a budget, don’t try to implement this strategy just yet. But when you’re ready to take things to the next level, make sure to capture professional footage from your next major recording session. So as you can see, this isn’t the average ‘promote your music online with Facebook and Twitter’ guide. I hope it’s shown you that there’s more to music marketing than the advice you hear thrown around on most other music advice sites, and I hope you now trust me enough to impart other wisdom on you in future. So what do you think about the above strategies, have you tried any of them before? Are there any other ways to promote your music that have worked well for you? Let me know in the comments. And please share this guide around if it’s been useful. Awesome Article! I will be releasing my tape #JoKES_ASIDE next year(April 2017). I have never been this motivated, I cant wait to release it-ALL THANKS TO YOU!! Hey! Thanks for sharing this stunning article. I agree with you. Keep it up. Agree with this article completely. Musicians need to start looking at themselves as a business and respect the kind of work that goes into making a business successful. Look at Mcdonalds for example. Arguably one of the best known brands in the world, yet they still constantly advertise on TV, radio, magazines, etc. This should give you an idea of how much work you, as an unknown musician, have to put into marketing. Not just any work of course though, smart and consisitent work. It’s a marathon not a sprint. Nice tips Shaun. Anyway I must be the most unlucky guy from the world cause I’ve been doing this everyday of this year and I spent lots of money with gear and I didn’t earn even a cent. My friends say that my records are amazing and that I just play the guitar like Eric Clapton but nobody wants to give me a pound. I think the music is just for those who have big marketing companies supporting them. I’m completly tired of this and I’m almost sure I’ll be delivering pizza forever. After reading your first tip that suggests connecting with businesses I thought I would take your advice. Before I do, I thought you should know that i’m seriously going to apply as much as I can from this article to real life. It was informative, easy to understand, and it has seriously helped me a bunch as i’m just starting to promote my music. Anyways, I was wondering if you have any specific strategies for tips getting articles/blogs to post links/reviews/mentions of my music on their sites? Here is my music sound cloud.com/ridleyjack … I would greatly appreciate some of your advice and good work with the article. Thanks! Awesome article! I agree 100%! In the end every musician “must” act entrepreneurial and market his music constantly. I like your idea of being a B2B musician. I also think that building relationships to “multipliers” is key in growing a band faster. But how to attract them? And how can musicians add some value on their event? You have some ideas? Shares won´t be interesting for them I guess. Maybe some Press-Collaboration or Website / Cross Promotion maybe? I´d be glad if you´ll find the time to reply and look forward to your ideas on that. Hi Jonathan. You’re right, shares won’t be interesting to them. You can however benefit them if your name has a buzz and you can share some of that buzz with their event. While you won’t be able to get in this position initially, using the compounding effect you should be able to get to that stage and get some attention around yourself. From there you’ll make it more and more desirable for others to work with you, meaning they’ll get benefit and some of the attention you’re getting. It’s all about building your way up the ladder, making yourself more valuable at each stage. HI Shaun, I like your comment about connecting with people that have a bigger audience than me. And to write about others via a blog is also a very good idea for the seach engine links..I very much appreciate your insights and what you share. The music business has endless turns and twists and you’ve inspired me to get out there and write more and contact more people eventhough I do that a lot, thanks Shaun, ps. my 9th new age solo piano cd is coming out in Febuary 2014, it’s been recorded and we are getting ready for the editing stage. Peace, Mark. Hi Mark, glad the article connected with you. Promoting your music isn’t always a fast race to the top, there are steps which need to be taken, and it’s a gradual building process. That said, connecting with those who have a bigger audience can be a short cut many don’t take advantage of. I hope you’re release went well and you took advantage of some of these promotion strategies.